As servants of the Lord, we all want to satisfy Him, but most of the time we have no path to practice and have no idea how to serve the Lord’s will to become a confidant of Him. This article “Grasping the Four Key Elements, You Will Serve God’s Will” will show us the way. Firstly, we must possess a God-loving heart, be able to be considerate toward the Lord’s will, be of one mind with the Lord in all things, and work hard to be the Lord’s intimate. The Lord Jesus said, “You shall love the Lord your God with all your heart, and with all your soul, and with all your mind. This is the first and great commandment” (Matthew 22:37-38). These words are the commandment that the Lord Jesus requests us to observe, and it is even more His requirement for each who serves Him. The Lord asks us to have a heart that loves Him and to do our utmostto pursue being His intimate. Take Peter for example; he gave up all worldly things to follow the Lord and receive His commission, never considering or planning for his own future; he was of one mind with the Lord, and sought to satisfy His will in all things. After the Lord Jesus was raised from the dead, He appeared to Peter, just as it is recorded in the Bible, “He said to him again the second time, Simon, son of Jonas, love you me? He said to him, Yes, Lord; you know that I love you. He said to him, Feed my sheep.He said to him the third time, Simon, son of Jonas, love you me? Peter was grieved because he said to him the third time, Love you me? And he said to him, Lord, you know all things; you know that I love you. Jesus said to him, Feed my sheep” (John 21:16-17). Peter was loyal to the Lord from beginning to end. Thus, the Lord Jesus hoped that he could be one who loved Him, and entrusted him with the heavy responsibility of shepherding the flock. After that, Peter always had the Lord Jesus’ words in his heart, and willingly spent his lifetime energies pursuing a true love of God. He was considerate of the Lord’s will and focused on satisfying Him in all things, and persisted in shepherding the Lord’s flock even in persecution and tribulation. In the end, Peter was crucified upside down for the Lord, obeying God unto death and loving God to the utmost. So Peter was exactly a person who was of one accord with the Lord as well as the confidant of Him. If we want to be qualified to serve the Lord, we must take Peter as our exemplar, pursuing knowing and loving the Lord, and being considerate of His intentions in all matters; besides, in performing service, we should sacrifice ourselves for the Lord’s work, for honoring Him and bearing witness to Him, and satisfy His will wholeheartedly without considering or planning for personal interests or seeking what’s good for ourselves. Then our service can be in harmony with the Lord’s will. Secondly, we must seek the truth in all things and be able to grasp the Lord’s will, cooperate closely in the work of the Holy Spirit, and keep pace with the Holy Spirit’s work. Seeking the truth and grasping the Lord’s will in all things is not only what the Lord wants of every believer, but even more what every servant of God must enter into and practice. However, when preaching and working or encountering some problems and difficulties, most of the time, we do things in our own way, without the slightest intention of seeking God’s will. Sometimes even if we seek the truth, we just go through the process and can’t achieve any results. For example, when seeing our brothers and sisters growing cold in their faith and love, some pursuing the trend of the world, enjoying fleshly comforts, and some even abandoning the Lord and betraying Him, we just focus on outward actions, taking all types of measures to support them and exhort them, and think that it’s enough as long as we have done what we are supposed to do. However, we pay no attention to seeking and grasping the Lord’s will, and never consider what the source of these problems is, and what we should do to revive the church and put God at easeand satisfy Him. If we never try to figure out and seek out the Lord’s will, then we will only stray farther and farther from God, feel dark and dry in spirit, be unable to touch the Lord’s presence and guidance, and have no path to walk. However, if we always focus on grasping the Lord’s will, then we will easily receive the enlightenment and guidance from the Holy Spirit, gradually be able to see through the problems and difficulties occurring in the church, and be clear about how to perform the work of serving the Lord properly, what principles should be grasped in our service, and how to fulfil our duty properly and satisfy God with all our heart, with all our mind, with all our soul, and with all our might. In this way, our human ideas will be lessened in performing our duty, and we will no longer rely on our own notions and imaginations, ability, or inner quality to act; our relationship with God will become normal, and the duty we perform will be in line with God’s will. For example, when facing the problem of the church’s desolation as well as many believers becoming passive and weak and pursing the world, we, as servants of God, should do more to seek the Lord’s will and requirements. If we find the root cause of the desolation in the church, then we will know how to help our brothers and sisters recover their faith in the Lord. We know that now is the end of the last days. It is a common phenomenonthat the churches now grow more and more desolate, and that the believers become passive and weak and pursue the world. This shows that the Holy Spirit does not work in the religious circles anymore, just as God’s words said, “And also I have withheld the rain from you, when there were yet three months to the harvest: and I caused it to rain on one city, and caused it not to rain on another city: one piece was rained on, and the piece whereupon it rained not withered” (Amos 4:7). To resolve the church’s growing desolation, we need to look for churches that have the Holy Spirit’s work, seek the trend and movement of the Holy Spirit’s work, and seek new enlightenment and illuminations. As long as we drop our notions and imaginations, and always have a heart of reverence and a heart of longing for and seeking the truth, the Lord will surely lead and guide us to understand His will, and enable us to receive the provision of the living water. If we serve God with a heart that seeks the truth, then we will receive God’s illuminations and blessings, and all we lack will be made up for and perfected by God. 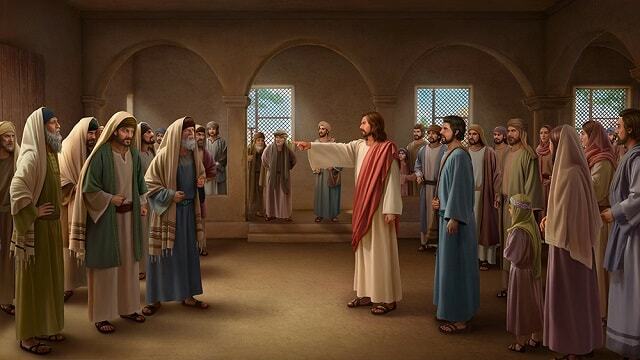 Thirdly, in our service, we must practice God’s words and use God’s words to resolve problems in order to exalt God and bear witness for God, and to bring the brothers and sisters before Him. Bringing people before God is the requirement of God for those who serve Him. If we want to bring people before God, we need to guide and support them according to God’s words and requirements. It is necessary that we ourselves first have some experiences and knowledge of God’s words, and gain some understanding of the Lord’s will and requirements. We need to learn to reflect on God’s words to know our own deficiencies and inadequaciesin all things and environments set up by God, and then find the correct path to practice in God’s words; through experiencing and practicing God’s words, we will obtain some practical and true knowledge of God, and our relationship with the Lord will become more and more proper. This way, we can see through the essence of the problems and difficulties we encounter, and then we can help our brothers and sisters understand God’s will and find the path to practice through our own practical experiences as well as God’s enlightenment and guidance. For instance, when we see that the brothers and sisters have disagreements and can’t get along well with each other in doing service, if we are unable to see clearly the essence of this problem and do not seek God’s words to resolve it, then we will rely on our own ideas to remind and exhort them, or blame and teach them according to the Bible, asking them not to do that in the future. Such actions can only make them obsessed withright and wrong, and are completely unable to bring them before God. However, if we practice using the truth to resolve the problem, guiding our brothers and sisters to pray to God more, rely on God more, and experience God’s work together, then they will know: We all have corrupt dispositions, and being dominated and controlled by them, we have no normal relationships with others, which is the fooling and corruption of Satan; God sets up the environment in order to cleanse and change our corrupt dispositions; if we can know and hate our own corrupt nature of Satan, forsake our flesh, let go of ourselves, and consciously pay attention to practicing the truth and satisfying God, then we will be able to get along with others, and learn some lessons in the people, events, things and environment God sets up for us rather than be obsessed with right and wrong. Hence, the most important thing for us in doing service is to lead our brothers and sisters to learn to know God and understand God’s will and requirements, and make them understand what kind of person God loves and what kind of person He detests, and have a genuine knowledge of God’s disposition and what God is, so that they can practice God’s word, obey God and worship God. This is bringing people before God, and is also exalting God and bearing witness to Him. However, if we preach sermons just in order to show off and exalt ourselves, and focus on establishing our image, but are unable to use the truth to resolve the problems, if we fail to lead people to practice the Lord’s words and follow the Lord’s way, if we don’t exalt and witness God so as to bring people before Him and let them look up to and depend on Him, then our service is actually resisting the Lord, and the path we walk is the path walked by antichrists. Think back to those Pharisees recorded in the Bible. They observed human traditions in their preaching and working, but abandoned God’s commandments and deviated from God’s way. Besides, they often interpreted the letters and doctrines in the Bible to witness and exalt themselves, with the result that people all listened to and followed them, and strayed from God and betrayed God. The Lord Jesus said, “But all their works they do for to be seen of men: they make broad their phylacteries, and enlarge the borders of their garments, And love the uppermost rooms at feasts, and the chief seats in the synagogues, And greetings in the markets, and to be called of men, Rabbi, Rabbi. But be not you called Rabbi: for one is your Master, even Christ; and all you are brothers. And call no man your father on the earth: for one is your Father, which is in heaven” (Matthew 23:5-9). It can be seen that the Lord Jesus requires that we only believe in and worship the unique God Himself. Therefore, we must reject the service of the Pharisees and always exalt God and witness Him, bringing our brothers and sisters before Him. Only such kind of service is the service that conforms to God’s intentions. Fourthly, we should be always able to be quiet before God, to examine and know ourselves, and promptly correct any transgression or mistake we discover to ensure that God’s will is carried out without obstruction. As servants of the Lord, we must live in God’s presence at all times. Through God’s enlightenment and guidance, we should see through the truth that we are corrupted by Satan, see how poor and miserable not having the truth, and see clearly our deficiencies and inadequacies and have self-knowledge. As we have not yet been perfected, we are unable to fulfill our dutycompetently,and it is very normal that deviations and transgressions may occur in our service. When we discover our own deviations and transgressions, we should come before God promptly to dissect and reflect on ourselves according to God’s words with a reverent and seeking heart; meanwhile, we should set aside our face, vanity, and status to communicate purely and openly with the brothers and sisters around us, accepting the real facts, and accepting their criticisms and supervision to avoid repeating past transgressions. Only by doing so can we make sure that God’s will can be carried out in us. For example, we all have arrogant nature, enjoy standing high among people, and always talk boastfully to show ourselves off in our working and preaching to make them look up to and worship us. As a result, our brothers and sisters only know to listen to man and follow man in whatever they encounter, and there’s no place for God in their heart. Such a church has long lost the leadership of God, so all the work in the church is a mess and achieves no results, and we ourselves also oftenhit the wall and suffer failure. At this time, we should quiet ourselves before God promptly, reflecting on our thoughts and ideas, and words and behaviors to know ourselves, and accept the judgment and chastisement as well as the exposure and dealing from God’s words. From that we can see clearly: We use the opportunity of serving God to exalt and witness ourselves, and pursue satisfying our own desires for fame and status, and we have brought people before ourselves; what we do is to compete with God for people, and to control and possess God’s chosen people, and we have walked onto the antichrist’s path which is hated and loathed by God; if we have no repentance, we will offend God’s disposition and be punished by Him. After knowing the seriousness of the issue, we should immediately repent and confess to God, practice forsaking our flesh, consciously exalt and testify to God in our working and preaching, and do service dutifully and conduct ourselves conscientiously. Besides, we should pay attention to establishing a proper relationship with God, and keep God’s will and commission in mind all the time, only living for God in this lifetime to ensure that His will is carried out without hindrance. If we have a sincere repentance like this, the Lord will gradually lead us to walk onto the correct path of service. “Why did the film bear as a title Perilous Is the Road to the Heavenly Kingdom?” Just as its name implied, it meant that the path to the kingdom of heaven is full of hardships and dangers. God’s blessings is more than enjoying peace and joy God bestows upon us. Hardships and trials are the best blessings God bestows upon us. God doesn’t forsake us when He allows us to suffer setbacks or something unpleasant. If we know God’s good intentions, we shall not lose faith in God. How can I have my prayers answered by God? 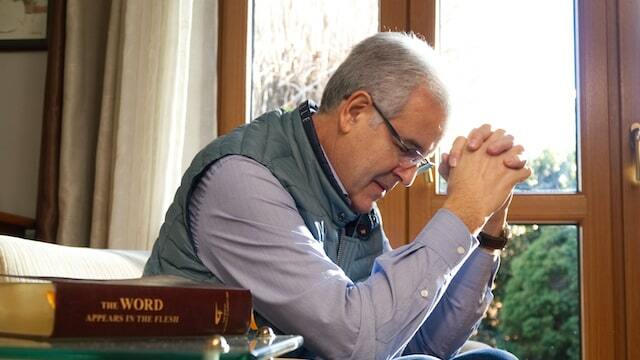 Follow four principles of prayer, you’ll get God’s guidance and leadership. There are four keys we should learn from people in the Bible, which can help our prayers be accepted by God and avoid wrong prayers.